MacIntyre Academies - New Minibus for Quest Academy! New Minibus for Quest Academy! 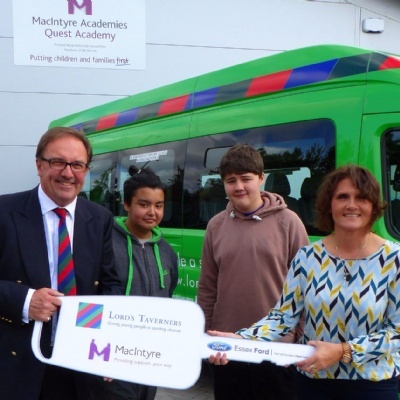 Representatives of the Lord’s Taverners were in Warwickshire this week to present staff and pupils at Quest Academy with a new minibus. Pupils at Quest Academy were delighted to receive the minibus donated by The Lord’s Taverners and made possible by our sponsor MacIntyre who fundraised for the bus. The new 16-seat minibus will enable Quest’s pupils to participate in a wide range of community based learning opportunities including horse riding and local leisure facilities.